Retirement can either be the best or scariest thing depending on who you are. One thing is for certain, though: at the retirement party, you should find a present that helps the person see the glass half-full. You will find suggestions of this kind among our 25 retirement gift ideas for mom, dad, a coworker or your boss. We have mugs, clocks, funny gifts, antique gifts, elegant gifts, and many others, so at least one of them will be the perfect find for you. We open this list by channeling the true spirit of retirement: freedom. Sure, it has its downsides, but with a mug like this, it’s easy to remind yourself of all the perks that come with it instead. After a lifetime of work and other activities, it can be a bit strange to suddenly end up in a place where you don’t know what to do. This is what this quirky and hilarious guide is for. It’s actually useful, but it also provides advice in a dynamic and captivating manner. 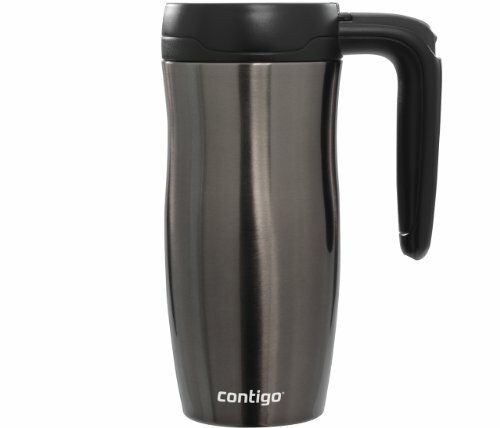 Mugs are easy retirement gift ideas, so we have one more recommendation to make. This particular mug is much classier and displaying some decorations that make it pretty to look at. It’s great for the person that appreciates this kind of thing over humorous, gag presents, but it’s also one of the best retirement gift ideas for mothers or grandmothers! You can hit two birds with one stone if you pick this gift. On one hand, you have the straightforward retirement blessing message, which makes it thematically appropriate. On the other, you get to make a subtle statement: this is your time to start traveling the world. What can you do with a party tiara? Well, for starters, wear it at a party. It’s a really great way to instill some youth and joy in the heart of the retiring person. 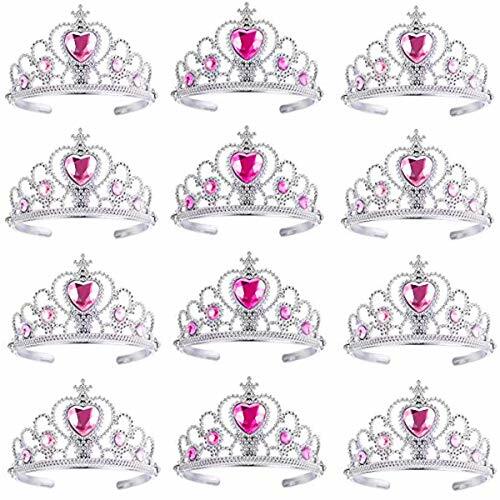 After all, who wouldn’t want to feel like a princess on this special occasion? Whether you’re planning on using these right at a party of if you’re gifting them for the recipient to save them for later, these are really cool retirement gift ideas. The labels are able to make even the wine bottles the person will be drinking from into a reminder. We have here another book, which takes a bit of a different approach. It’s a perfect present for the person that was so used to the working lifestyle, that letting it go seems foreign and bizarre. 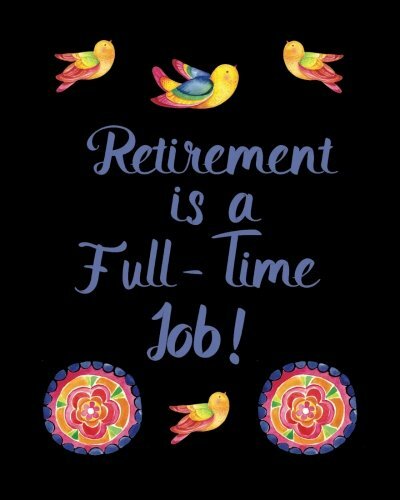 With this book, they can learn to adapt by considering retirement a job as well. How amazing is this clock? Obviously, it also serves a practical purpose as it can still be read like a normal clock. But the whole gist is that you can let go of time, and appointments, and schedules once you retire. And this desk clock perfectly sends that point across with a lot of style and quirk. Even without the explicit retirement message, this musical jewelry box would make an elegant and sensible gift. But the message is definitely a bonus in this case. It will definitely get the gift receiver to remember this special event. Whenever someone closes off a chapter in their life, it’s good to send across your wishes and find ways to make the transition to the new chapter easier. And what better way to deliver this message than through an angel figurine? 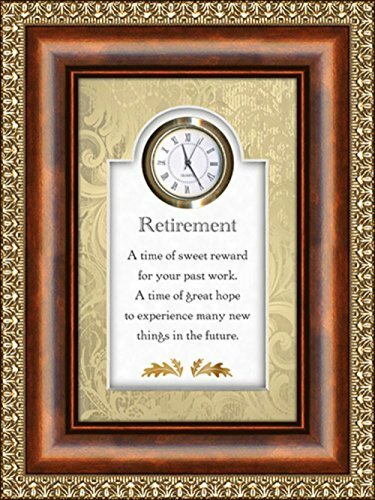 Plaques are simple and straightforward retirement gift ideas. The gift receiver will simply hang it on their wall and whenever they walk past it, there will be a nice message to brighten up their day. Even though the little timeless desk clock earlier mentioned was really cool, it’s understandable if you’d prefer gifting an actual clock. And if you can’t take your pick, take this recommendation. It has this wonderful and elegant antique vibe about it. 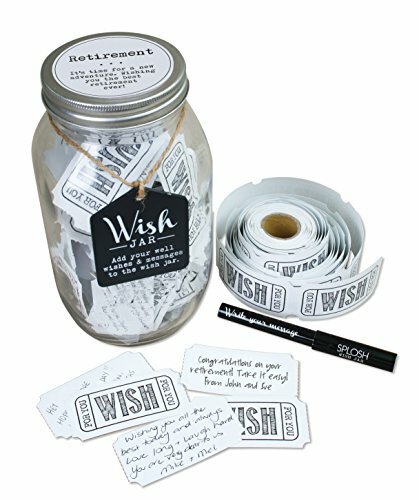 Simple yet effective, this wish jar is perfect for the retirement party. Guests will get to write their wishes for wellbeing and other keepsake messages and slide them into the jar. Therefore, the recipient will quite literally have a jar of memories in their house to always remind them of people’s nice words. If you know someone who would really appreciate some retirement gift ideas with class, this is the present for them. They don’t even need to actually use the compass. Its sheer appearance and that of the case are enough to fall in love with this retirement gift idea! On the other hand, maybe you know a person that appreciates the practical side of things. How about a multi-tool that doubles as a mini wallet or money clip? This multi tool comes with a scraper, bottle opener, wrenches, screwdriver, tape cutter, and metric and imperial ruler. Now we’re starting to venture into the territory of humorous gifts. What better time to nap and sleep all day than during retirement? That’s exactly what we thought, so send this message across with this fun napping eye mask. Despite the name, this is a gift that would woo absolutely anyone, especially someone with a taste for the refined and elegant. After all, it’s a gold plated pen, the kind you’d much rather keep on a shelf than actually use. For the cigar connoisseur, this is pretty much a gift of the elites. The box is very intricate and elegant and the set itself is high-quality and it will guarantee that the user can turn this activity into a work of art. If you know the soon-to-retire person has an excellent sense of humor, poking fun at their old age might actually be a grand ole time. Just look at how incredibly cute and strange this mug is! Wristwatches are a very common retirement gift. So why not opt for something practical and useful? Properly storing these items is very important to their preservation. This high-quality pocket watch case is a fine touch that few would think about, but one that can prove to be indispensable once you have it. The name says “old croaker.” That’s pretty much a big reason enough to go for this present. 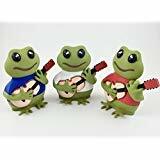 Part of the retirement gift ideas for people with a great sense of humor, this frog figurine makes a nice decorative piece that can bring out the childish side of anyone. The older you grow, the more important it is to keep your mind sharp and active. You can contribute to this by gifting to someone this six-piece set of wooden box games. They’re really interesting and they actually do help maintain a healthy and sharp mind. Plus, it’s a fun activity to spend some that abundant free time! Surely, this would make a fantastic gift for someone retiring from the Navy or something similar. But the truly unique premise of this mirror makes it an attention-grabbing present for anyone, really. The person can hang it on their wall and breathe new life into their home. If you’re on a budget or simply not ready to venture into the territory of bolder retirement gift ideas, how about a cute candle set? 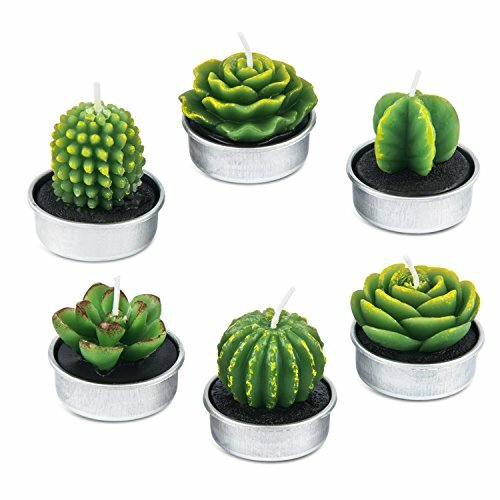 These succulent handmade candles are the ideal retirement gift for those who love nature. Finally, we close off this list with style. Whiskey stones are the way to go if you want to impress a liquor expert. After all, there’s nothing worse than trying to cool your drink with ice cubes and diluting it. That problem is gone with whiskey stones, designed specifically to avoid this issue. Recommended: If you like this gift idea, you may also be interested in other retirement gift ideas for men. Ready to brighten someone’s departure from the working field with our retirement gift ideas? Pick your favorite, find a nice packaging, and don’t forget to bring your warmest smile with you! What do you consider to be the gift ideas for someone who is retiring?